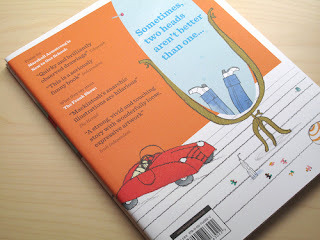 David Mackintosh's story telling is almost as out of the ordinary as his illustrations. 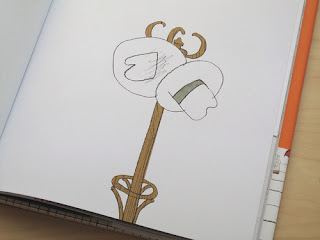 Mackintosh's last book The Frank Show, is a great example of Mackintosh's diverse way of thinking when it comes to picture books. 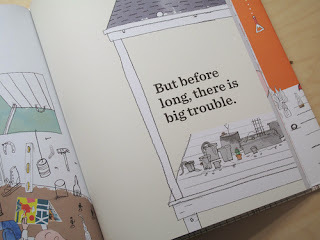 The Frank of the title is the grandfather of the narrator and Frank "doesn't always like the way things are. And he always does things his own way." 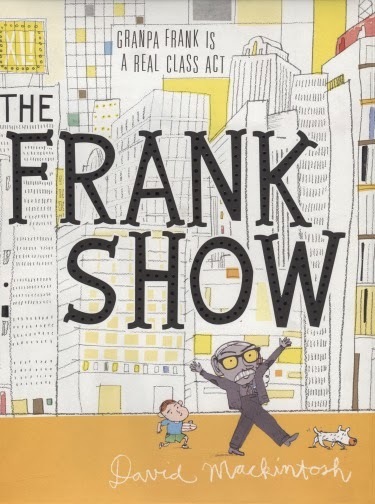 Frank has a lot of stories he tells, but it never occurs to the narrator to talk about him at family show-and-tell. When he does, the class goes wild for him and Frank stays for lunch! 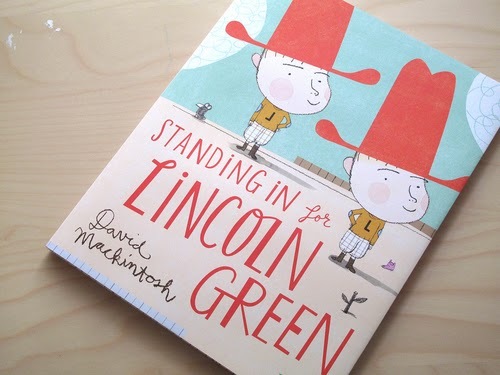 In Mackintosh's new book, Standing in for Lincoln Green, the story turns on a subtlety of character along with some cool kid stuff. 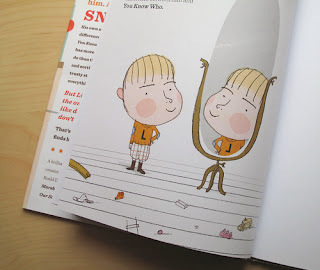 You see, Lincoln Green has a double, "someone who looks just like him. A match. SNAP!" Best of all, his mother can't tell the difference. 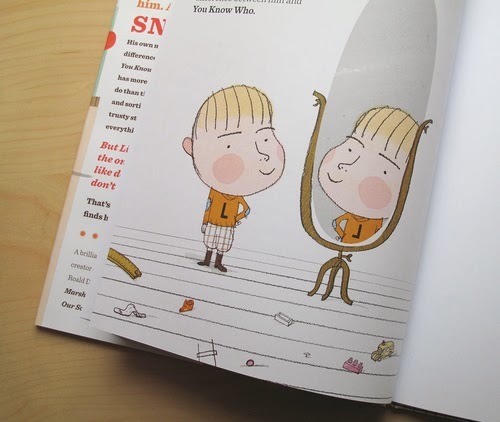 Lincoln's double, his mirror image, is just that. The only way you can tell that Lincoln's double is standing in is by the reverse "L" on his sweater. Lincoln's double is great at taking care of things that "MUST BE DONE TODAY." You know, things like "tidying and putting away, straightening up and sorting out." In fact, Lincoln "makes the most of every opportunity for You Know Who to help out." And, while Reverse L does these things, Lincoln Green gets to "grab some shuteye, listen to Sagebrush and Dawgies ont he radio, and mosey over to Brian and Kenny's place to shoot the breeze. 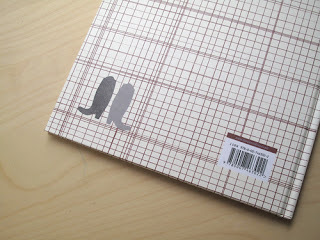 There's plenty of time for fizzy sarsaparilla and hot dogs too." One day, while You Know Who is "painting the fence because it JUST HAS TO BE DONE TODAY and CANNOT WAIT," And that's when You Know Who meets Billy. They build a tree house and start a club that is "strictly MEMBERS ONLY."